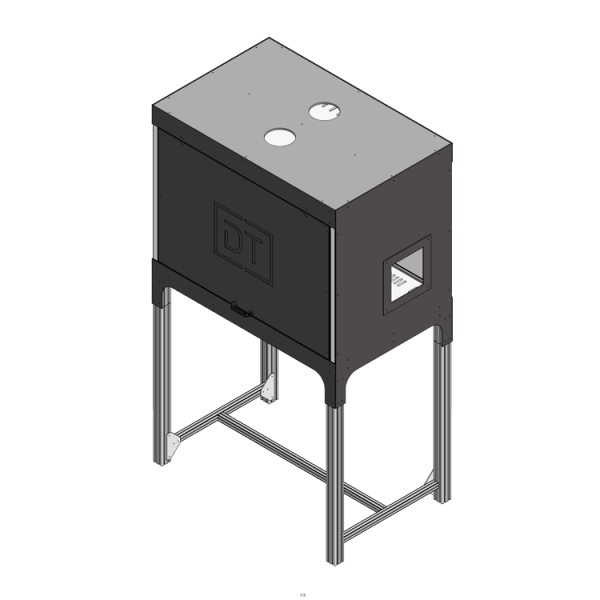 The Hush Box – Extra Large is customised to the requirements of the specified projector including internal mounting brackets that securely locate the projector within the enclosure and enable a wide range of adjustments. The HB-XL is designed to provide effective noise dampening of the enclosed projector including highly convoluted air inlet and outlet paths for maximum sound absorption. The HB‑XL is designed to be used with the appropriate DT‑Mistral air movement units to ensure the correct airflow is delivered for safe long term operation.